I grew up in Chicago, and couldn’t be more proud to call this busy, diverse metropolis my home. Most of my youth was divided between the neighborhoods of Ravenswood (where my tiny Lutheran grade school sat) and Portage Park, where my folks bought a home in 1985. I attended a fairly rough Chicago Public high school, but no venue was better suited to teach me the street smarts that are necessary in life. Instead of lamenting my lot, I celebrated it, somehow realizing that overprotection doesn’t well prepare one for the adult world. Thanks to my secondary education, I learned a lot more than how to write an essay or dissect a fetal pig. I learned how to jostle myself and my heavy book bag through a tight crowd, without letting the bigger, meaner looking kids intimidate me. I learned how to focus and avoid the distractions of cross clique trash talk. I learned how to look beyond graffiti and grime to appreciate the architecture beneath. Most importantly I learned that all of us kids, regardless of race, religion or socioeconomic status, wanted the same things: good grades, parental approval, freedom and a love life. We also rebelled against the same influences, albeit in our own different ways: authority, convention and the status quo. Though there were some dicey and violent incidents that occurred on school grounds, I developed a sixth sense for staying away from trouble, in ways I might not have had I attended a more pristine institution. 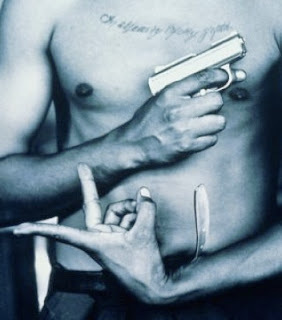 Gang activity was always around, but if you steered clear of the people sucked into that world (and you well knew who they were), everything was copacetic. I learned to feel sorrow, rather than disdain, for the peers who found their lives over before they really began- often from broken (and notably fatherless) homes, victims of world weary hopelessness at an age that should be flush with promise and opportunity. Several months ago, I relocated with my husband to the lake front neighborhood of Rogers Park. This area, from the 1970s until fairly recently, was well known as one of the most dangerous places North of downtown. But like every other waterfront locale in Chicago, Rogers Park has enjoyed a boom in development and gentrification. However, this economic rise is exclusive, and one of the many reasons I take issue with the policies of Mayor Daley. It is not difficult to walk the streets and encounter the faces of those who have been left behind: the homeless and mentally ill who line up to solicit change from commuters disembarking the Red Line, the pre-op transsexual, shabbily made up, and furtively looking for love at the local bars, the exhausted mother with five children who walks down the street, heavy with grocery parcels paid for with limited WIC card means. Part of the reason I was drawn to the area is that it reminded me so much of my high school experience. But now, unlike then, I am in a position to advocate on my neighborhood’s behalf. I am enjoying the diversity, the richness of my daily experience and I do not want to see people with limited opportunity and resources driven from the area. Through my day job as an activist for human services, my involvement with the Rogers Park Business Alliance, and through connections with the local alderman’s office, I am striving to make sure that the wealthy white collar crowd doesn’t make diversity an endangered species. However, just as it was in high school, gang activity in the area threatens to encroach upon the collective peace of mind, and efforts to uplift the community. As a student, as I mentioned already, I knew who the players were and how to keep my distance. I do not always have this same benefit today. On Tuesday night, around 9 PM, not an hour after alighting from the train and walking through my front door, on the same street that serves as playground to scores of unburdened neighborhood children enjoying long summer hours, two rival gangs (the Latin Kings and the Grand Disciples – well known to residents of Chicago) decided to open fire on each other on the crowded block. After talking with my neighbors, I learned that the melee was started over the same tired “turf wars” that have always accompanied gang activity. I am happy to report that no civilians were injured in the event, but that was just dumb luck, rather than deliberate consideration on the part of enemies, who might otherwise be friends if not for the brainwashing of their organizations. I stood on my porch watching as Chicago’s finest chased, and then apprehended the gunman. This was met with a loud whoop of approval from my apparently fearless fellow citizens. A few brave and sporting souls even assisted the police by loudly tracking the suspect’s movements. The victim was loaded into an ambulance, and witness statements taken, before the police moved onto to deal with the next violent crime. These bystanders, my neighbors, were the true heroes of the evening. Not only did they set aside concerns for their own safety to aid and abet the law, but they stood their ground on that street corner – at times the crowd six people deep. They were sending a message to those who would engage in violent crime: “This is OUR turf damn it and we are not afraid of you!” Is it any wonder I love the neighborhood? The recent Supreme Court decision to strike down Chicago’s handgun ban, and the City cash crunch that is increasingly forcing the layoff of public servants, seems to suggest that incidents like Tuesday’s may become more frequent. I already overheard some of the people in my building (notably white and upper middle class) discussing plans to relocate. That would be a shame. Stay and hold your ground. Learn through exposure, as I once did, not to let the bigger, meaner kids intimidate you.